I didn’t really intend to return to elves for the last day of this series… I wanted to do an Entwife with an orange blossom theme, but I got started too late and my patience with making a dress out of leaves and bark just ran out. You can always tell when I just want to get done for the day, because the dress will be white. No matter how crazy and detailed it ends up, if it’s white, it usually means I started out in a grumpy mood. Galadriel doesn’t get a lot of description besides “white,” making her good to paperdoll on a grumpy day. I really rather like how this gown turned out, although if I was to redo it I would probably cut off the gauzy middle layer of material on the sleeves. That makes my seventh costume for Halloween: a whole week of Lord of the Rings, all finished. Uh, those of you who have followed me for a while (like, for more than a week) may have figured this out already, but it’s slightly rare for me to finish up a project so well and consistently: it’s usually one or the other. (See also my poor dancing princesses…) I’m rather proud of myself. 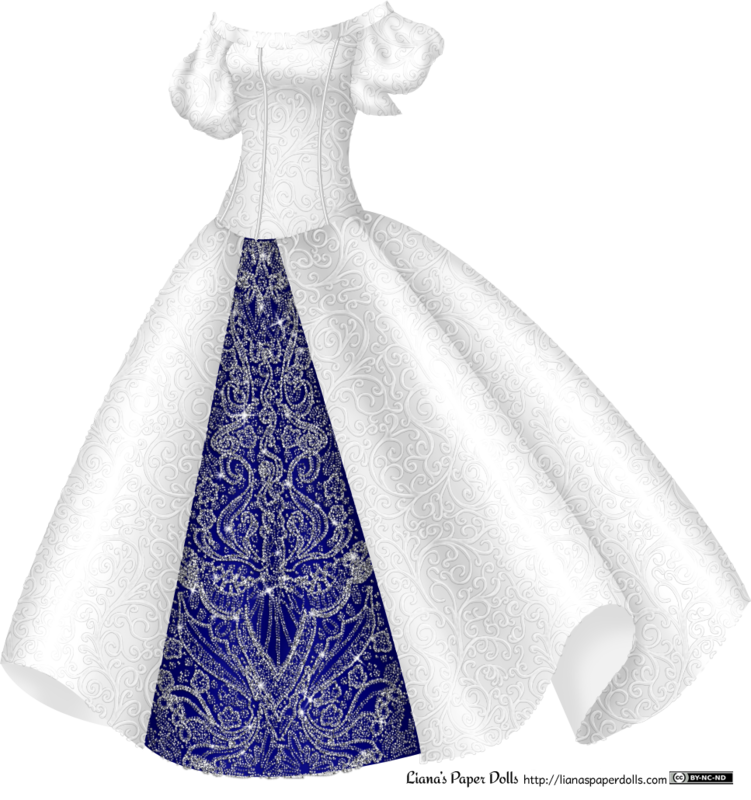 Since I don’t think masquerade gowns are likely to be upset at this late hour, I’m putting up a new poll just to satisfy my own curiosity… It’s rather unfair to pit the black and white elf dress against the others, because I think it’ll be lovely when it’s colored, but oh well.